Pick up at a drop site for free, or HOME DELIVERY now available! only $8! Enjoy regular deliveries of fresh, local & organic produce and support small farms from Out of Our Own Backyards. We believe everyone should eat healthy food, so we proudly accept EBT. Call to sign up and get 50% off with EBT!! 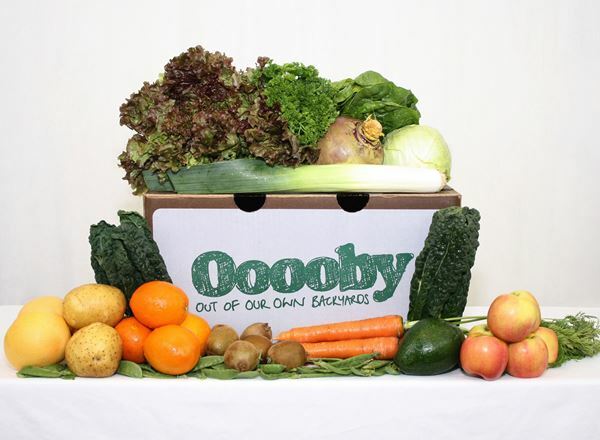 100% certified organic farm fresh, local, and delicious fruits & vegetables delivered to your pickup site. Includes weekly email and printed newsletters with recipes, produce tips, and Ooooby news.